The symposium will be held at Mount Saint Mary College. This free symposium will explore the experiences of younger adult caregivers with a special focus on cultural diversity. 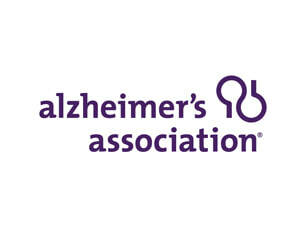 ​To register, contact the Alzheimer's Association at 800.272.3900. ​Reaching out to underserved groups: The symposium seeks to help underserved populations, particularly millennials in the African-American and Hispanic communities by offering information about Alzheimer's disease and resources available to families. These groups have been shown to be at higher risk of Alzheimer’s and other forms of dementia, according to the Alzheimer’s Association’s Facts and Figures Report. Devastating impact: The impact of dementia on caregivers is devastating, particularly for women. According to the Alzheimer’s Association Facts and Figures Report, 35 percent of caregivers for people with Alzheimer’s or other forms of dementia report that their health has worsened because of their caregiving responsibilities. Alzheimer’s disease continues to affect more and more families, and younger adults increasingly must assume a caregiving role for their parents and/or grandparents. The program is supported in part by a grant from the New York State Department of Health.